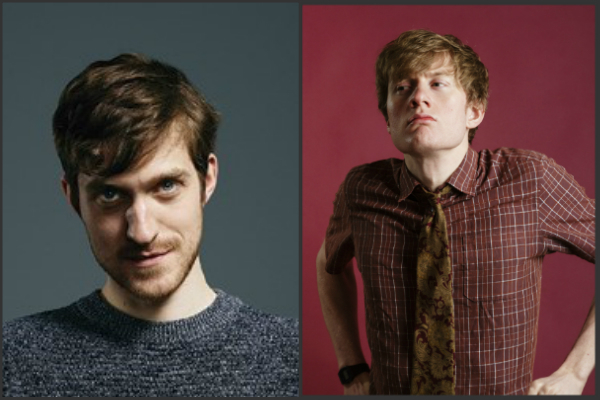 A double-bill of work-in-progress comedy shows for the Edinburgh Festival Fringe by two of Laugh Out London’s favourite comedians JAMES ACASTER and JOSEPH MORPURGO! ‘Love is the absence of judgement’ (Dalai Lama XIV). Running his mouth off about a bunch of stuff nobody even cares about – it’s James Acaster. Nifty. Snazzy. 30 years old. Doing his best to improve his posture. Foster’s Edinburgh Comedy Award Best Show nominee 2014, 2013 and 2012. Seen on Nevermind the Buzzcocks, Mock the Week, 8 Out of 10 Cats and Russell Howard’s Good News. Heard on James Acaster’s Findings (BBC Radio 4) and The Josh Widdicombe Show (XFM). 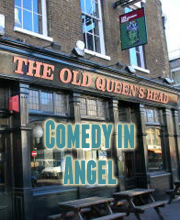 ‘One of comedy’s most original voices’ (Evening Standard). ‘Stand-up of the highest most playful order’ (Guardian). Acclaimed multimedia comic returns with an outlandishly funny new hour of excavated vinyl and throttled hyperkonzept. As seen in Austentatious (*****Times), BBC Two’s Harry and Paul and Comedy Central’s Drunk History. ‘Brilliantly ambitious’ (Times). ‘An exhilarating trip into the tirelessly inventive mind of an obvious talent’ **** (Time Out). ‘Thrillingly inventive’ ***** (Fest). ‘David Lynchian-demented’ (Scotsman). ‘Talent to burn’ **** (List). ‘Side splitting’ **** (Skinny). ‘A weird wonder of a show’ **** (ThreeWeeks). ‘(A) frantic, creative and atmospheric comedy nightmare’ ***** (BroadwayBaby.com). ‘Absolute lunatic perfection’ ***** (Londonist.com). **** (Metro). **** (Chortle.co.uk).